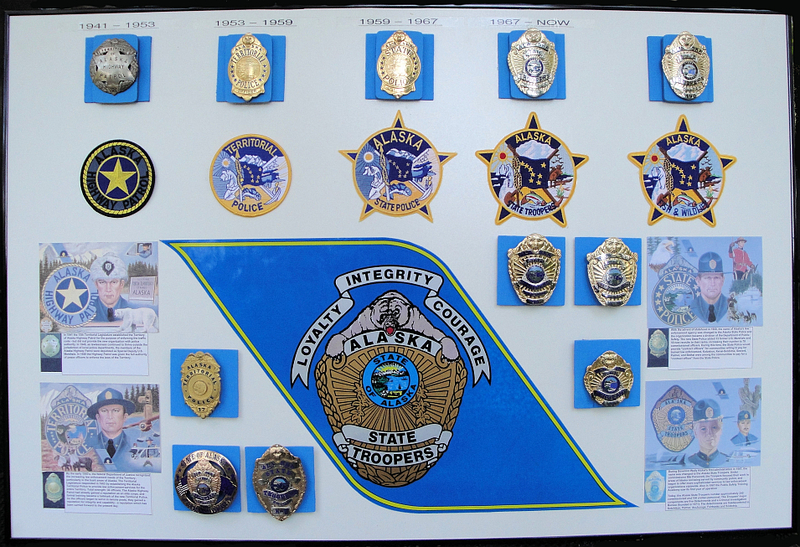 ***Note: Some of the badges in the following displays may be seen individually in the photo album section on the homepage. 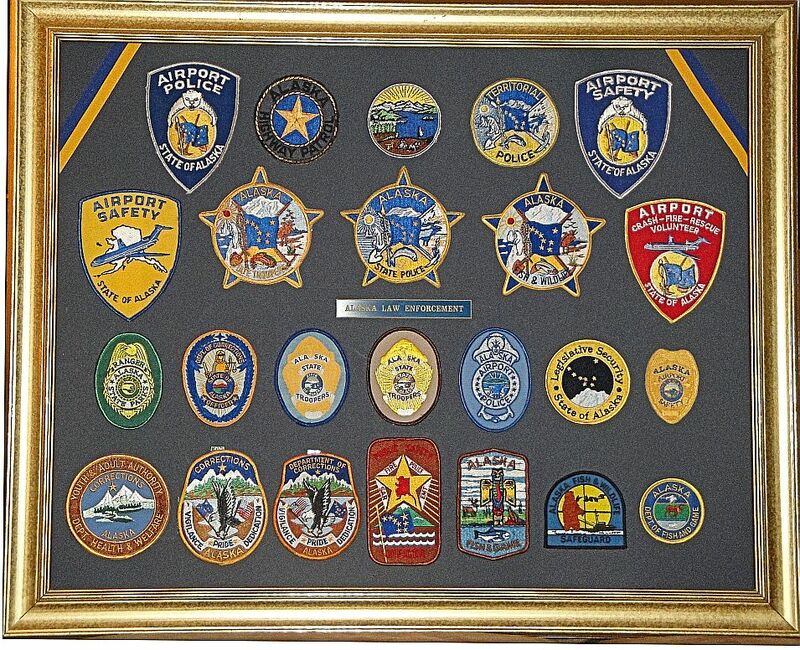 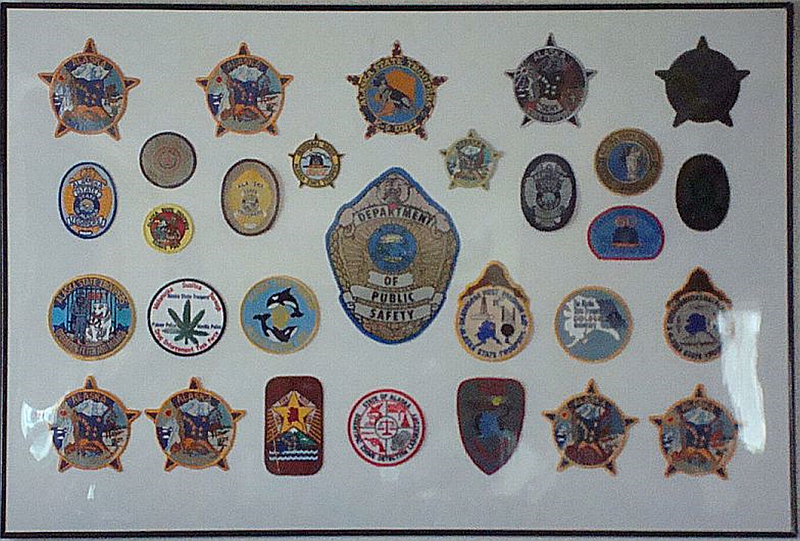 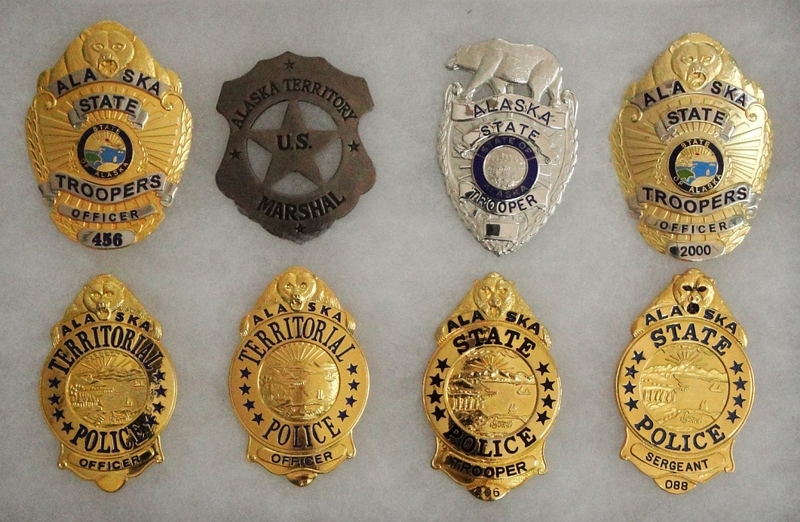 This display includes all the historic styles of badges and patches used by the Alaska State Troopers since they were formed as the Alaska Territorial Highway Patrol in 1941.
including Alaska State Troopers, Fire Marshal, Fish and Game, Scientific Crime Detection Labratory, Department of Public Safety, and Village Police. 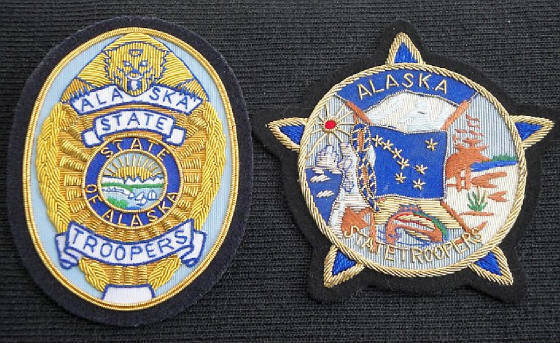 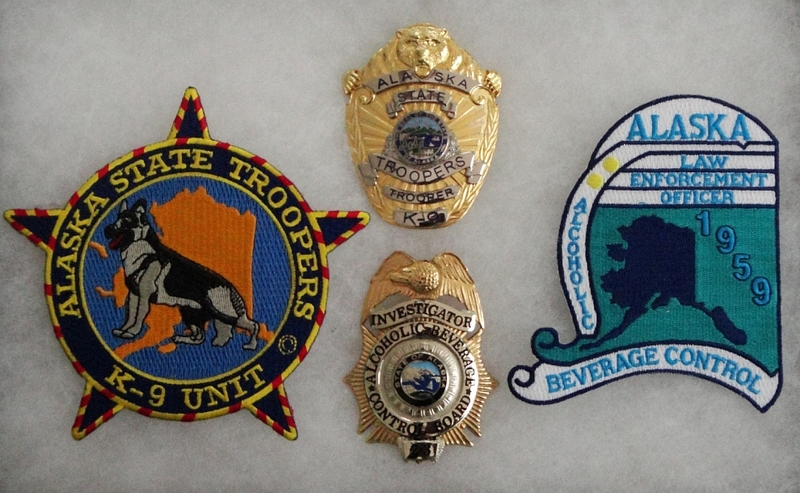 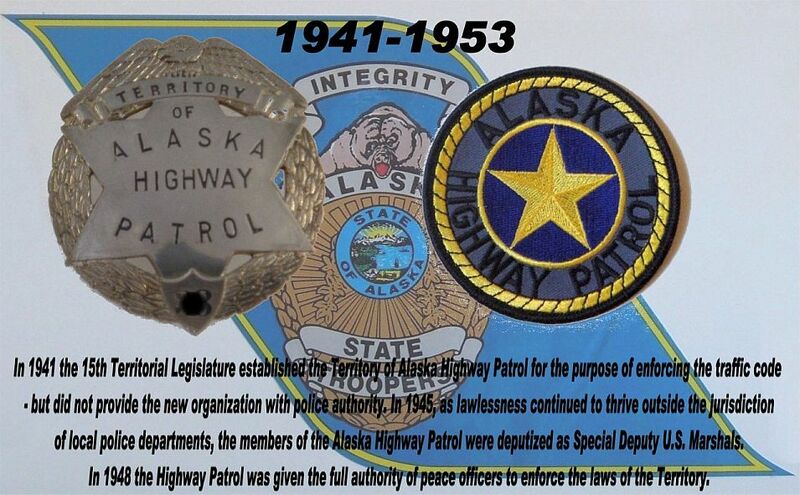 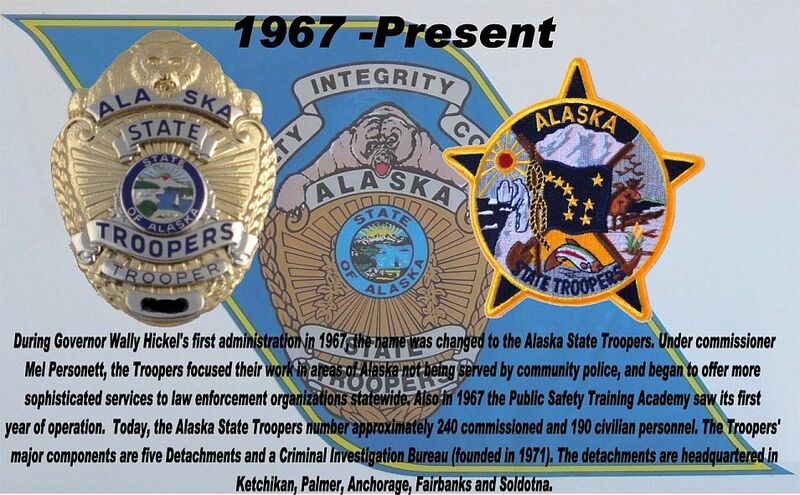 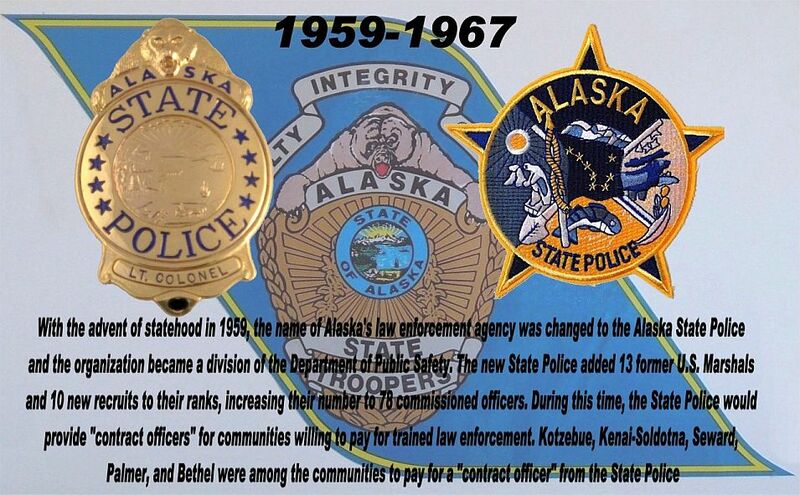 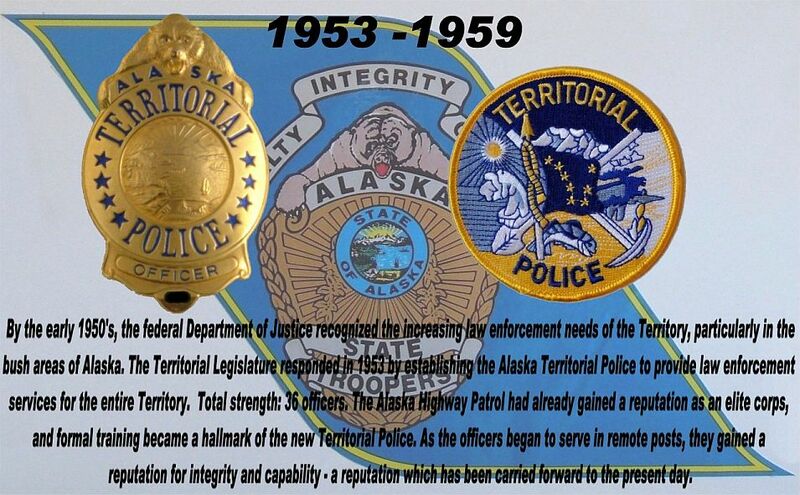 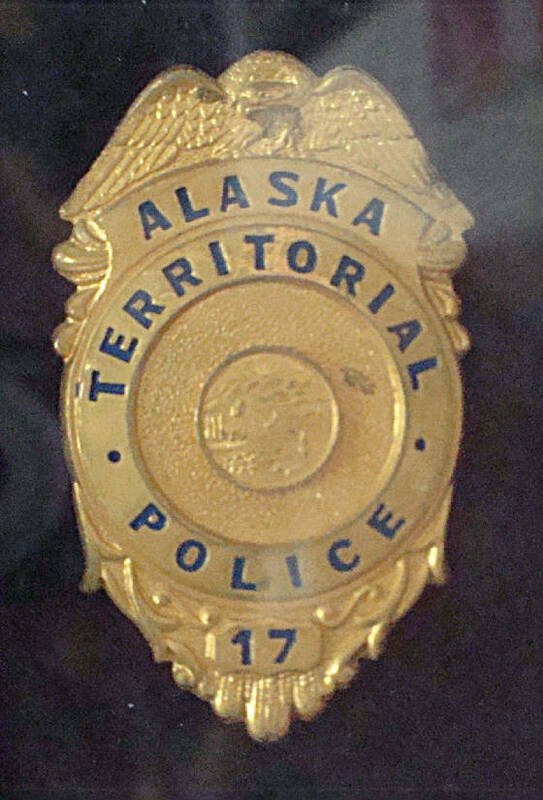 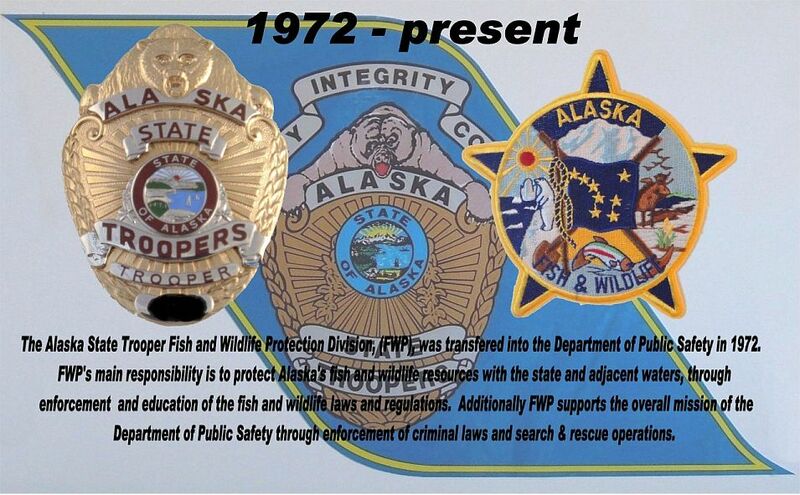 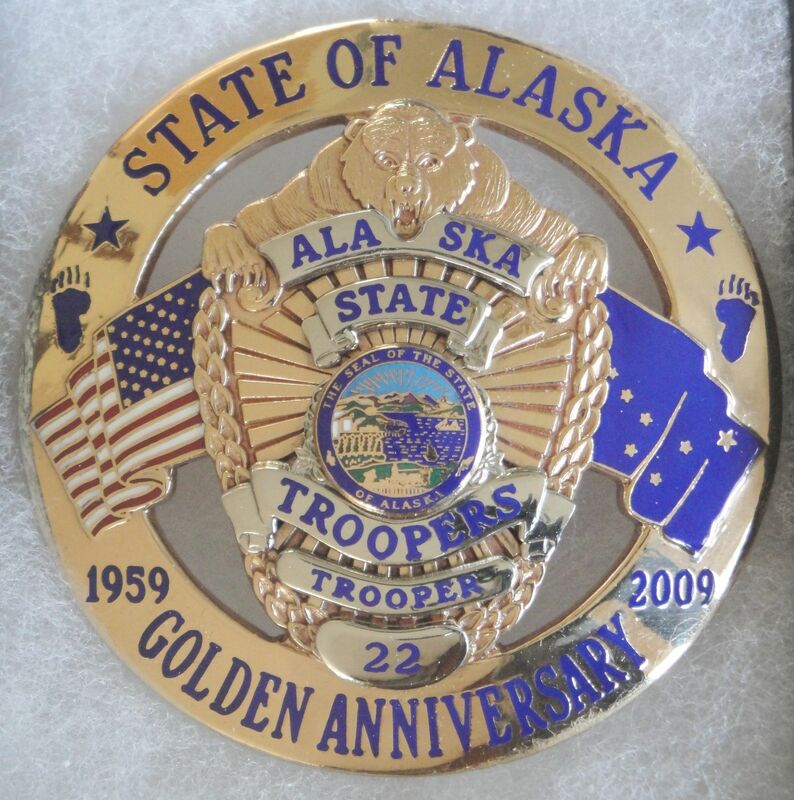 This is possible transition badges used for a short time between the first style "Alaska Highway Patrol" badge and the more familiar "Alaska Territorial Police" badge which was adapted from a public design contest. 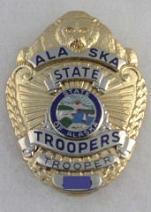 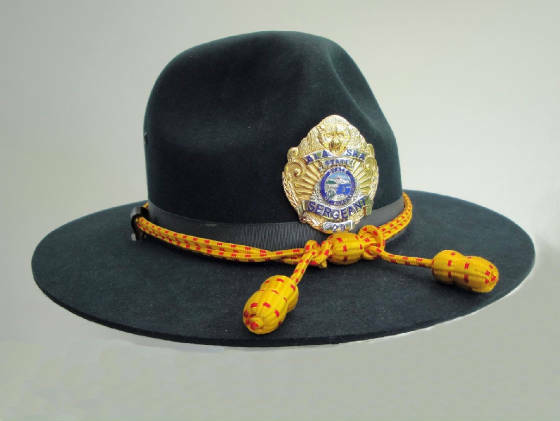 This Alaska State Trooper badge was issued to Trooper Roland "Skip" Chevalier, killed in the line of duty, 4/3/82. 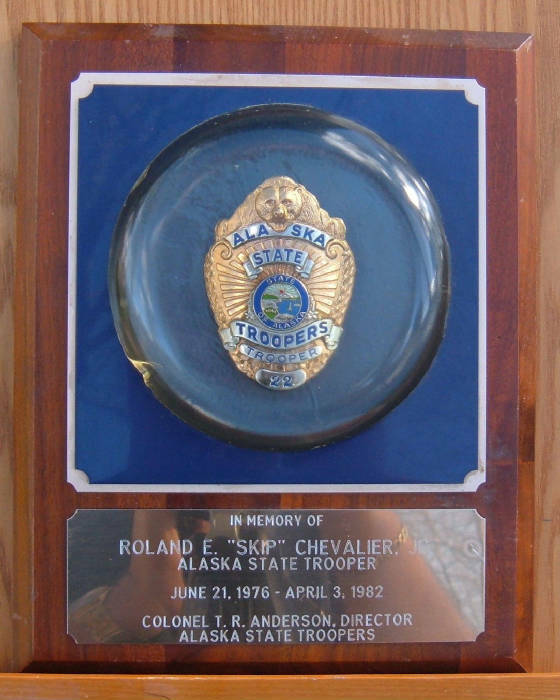 This badge belongs to my wife, Bevinne, his widow.